Cut gum drops in half vertically then cut each piece in half again. You’ll have 2 inside slices and 2 end slices for each gum drop. You get to eat the end slices! Cut a small nick in top of 3 slices to shape the shamrock leaves. Cut remaining piece into a strip for the stem. 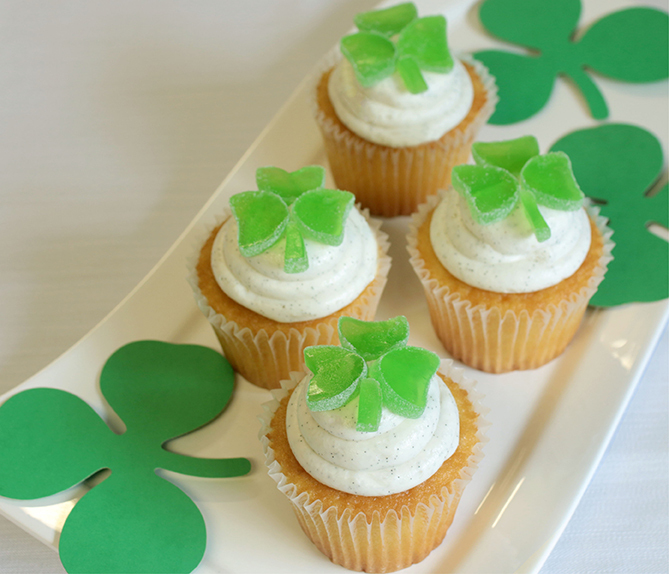 Assemble shamrock on top of cupcake using the 3 leaves and 1 stem. Repeat for remaining 3 cupcakes. Use jujubes in place of gum drops.